LGM Advisors is a leading Melbourne law firm when it comes to dealing with your contract law matter. We have the skills, experience and expertise to ensure that you and your contract matter is consulted upon with the utmost professionalism. Contact LGM Advisors and speak to a contract lawyer today on (03) 9832 0608 or by email at marketing@lgmadvisors.com.au. Contract law is a foundation of Australia’s legal system; individuals and entities enter contracts every day. The terms of a contract can be legally enforced through the courts, and disputes sometimes arise over these terms. With this in mind it is highly recommended that you obtain legal advice when drafting or reviewing any contracts. A contract lawyer will be able to create a document that clearly lists any obligations, and contains measures that may assist in the mitigation of potential conflicts. Each party is clearly aware of the contract’s requirements, including their rights and obligations under the contract. More complex contracts, particularly those which concern things of high value (such as the sale of land) are legally required to be made in written form. Verbal contracts are the type of contract that is most frequently entered, with people entering them every day in the course of regular business. Contracts that are found to have been based on a fundamental misunderstanding are not legally enforceable; this is why it is important to ensure all parties understand the requirements of a contract before it is signed. A contract has been breached if a party acts in contravention of its terms. The party/parties affected by the breach may choose to take legal action with the intention of having the contract enforced by the courts. A court may award damages to the affected party in the form of monetary compensation. This is usually the case if the affected party has suffered economic detriment as a result of the contract not being performed. In the event that it is still possible for the contract to be performed, a court may order the breaching party to carry out a specific performance, which would order them to carry out their contractual obligations. It is possible to resolve such as dispute outside of court, and a good contract lawyer will be able to review a contract so that it meets the requirements of all parties. The most effective types of contracts are those that clearly and plainly list a set of terms which have been expressly agreed upon by all parties. An effective contract is written in clear and easily understandable language. It also anticipates any potential problems or disputes and contains measures to resolve them without any legal action occurring. Parties to an effective contract will likely not need to refer to the document any more once it is signed, as they will understand what is required of them and commence performing the contract. As contracts are such a widespread and important part of Australia’s legal system, it is vital that businesses and individuals have an understanding of contract law. For more complex matters, such as when a particularly important contract is being entered, or if a breach has occurred, it is recommended that the services of a contract lawyer are sought. 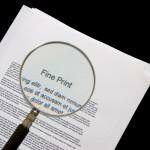 Contract lawyers are able to draft, review, and assist in enforcing contracts.